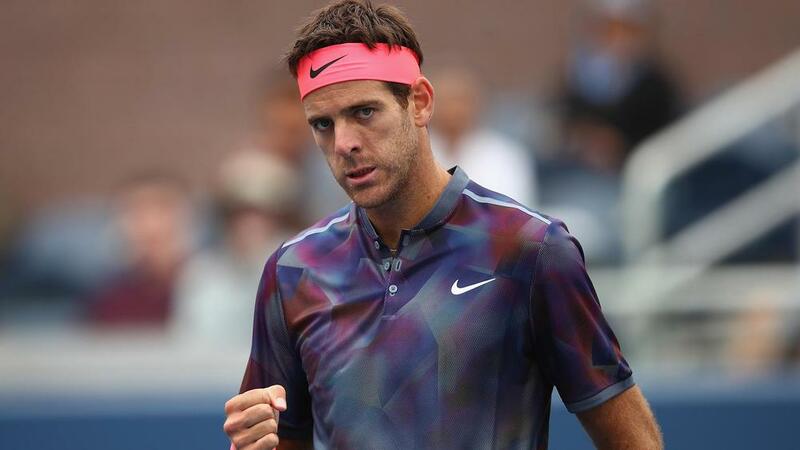 Juan Martin del Potro staged a remarkable recovery to edge Dominic Thiem in a thrilling fourth-round clash at the US Open. Del Potro, the 2009 champion, saved two match points to claim a 1-6 2-6 6-1 7-6 (7-1) 6-4 victory over the sixth-seeded Thiem. The Argentinian had battled a virus and appeared in all sorts of trouble as Thiem raced through the opening two sets in 73 minutes. While Del Potro rallied back, Thiem continued to fight and the Austrian had two match points in the fourth set, but the 24th seed saved both in the 12th game. In a thrilling final set on Grandstand, Del Potro claimed the only break in the 10th game, a Thiem double fault handing him victory. "I was sick the last two days and came here trying to play as best as I can," Del Potro told ESPN. "I saw this crowd cheering for me and I was feeling better. I think I fight like this because of [the fans]." Del Potro is into the quarter-finals in New York for the second straight year, with a clash against Roger Federer likely awaiting him.